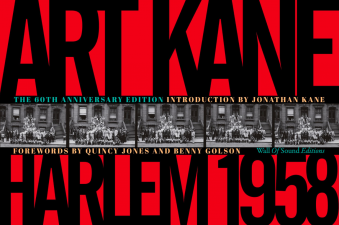 In August 1958, freelance photographer Art Kane had a bold idea: assemble as many of the great jazz musicians of the era as he could for a group photograph in Harlem. Published in Esquire magazine, the image has become world famous, and inspired tributes from artists around the world. Joining us for a discussion of Mr. Kane’s photograph and its impact are Benny Golson, who appears in the photo; Jonathan Kane, who wrote an introduction for the book; and our moderator; musician, educator, and bandleader Jerome Jennings. An iconic Art Kane photograph of Louis Armstrong will also be presented and introduced by Queens College’s own Louis Armstrong House Museum.